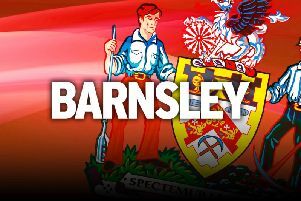 Barnsley midfielder Cameron McGeehan says defeating his former club Scunthorpe was a "big win" as the Reds climbed to second in League One. McGeehan scored the Tykes’ second in a 2-0 victory at Oakwell against the Iron, a team he featured 15 times for last season. “Scunthorpe have been doing really well of late,” said the 23-year-old. “Obviously with the new manager and now he’s settled in a bit, there’s been a big turnover of players from last year. It’s taken a bit of time but they’ve been on a really good run. We did the job and got the three points to move up to second, so we’re happy about that. "I think we’ve played well against teams who try and play a bit more. It was a big game, with Adam Hammill coming back so it gets you up for it. Daniel Stendel’s side are still six points behind Luton - another of McGeehan’s former clubs - but still have a game in hand on the league leaders. “It is a boost (to go second),” continued McGeehan. “We’re on our own path and own journey. We know what we’ve got to keep doing and keep putting performances together. The midfielder’s fourth goal of the season arrived after Alex Mowatt’s long-range drive, but the former Northern Ireland youth international was reluctant to celebrate his headed goal against the Iron. “It was right in front of their fans,” he added. "I didn’t do as well as I would have liked at Scunthorpe, so I didn’t want to rub it in their faces.
" Obviously I’ve got respect for Scunthorpe because it helped me at a time in my career when I was coming back from my injury. “I tried to help it on and the ‘keeper tried to get a hand to it. It was difficult for their ‘keeper because the sun was right in his eyes.